Join us for an evening of Wedding Inspiration! Join Caroline Castigliano and her favourite wedding industry partners for a glamorous networking evening of bridal inspiration! Taking place on Thursday 4th October at the Knightsbridge flagship store. Enjoy bubbles from Wine Merchants Berry Bros. & Rudd who will be on hand to discuss pairing wines and help you with choosing wines and champagnes for your day. Luxury florist Paula Rooney will show you stunning ideas for your flowers and decorating your venue, while award winning honeymoon specialists Scott Dunn will be chatting and mingling amongst guests advising and helping you select the perfect destination. Leeming Brothers make luxury stationery seem simple and you must steal tips from renowned wedding planner Bruce Russell. Chat to leading make-up artists from Bobbi Brown, who will be doing mini make-overs and showing special techniques to get the bridal look you really want while hairstylists from Richard Ward, hairdresser to the stars have bridal hair covered. You’ll also get the exclusive chance to browse the sparkliest gems by jeweller Neil Duttson and see unique wedding cakes by bespoke cake designer Yevnig. Plus celebrity photographer Andy Mac will be on hand taking pictures and talking all things weddings! – see his wonderful style. 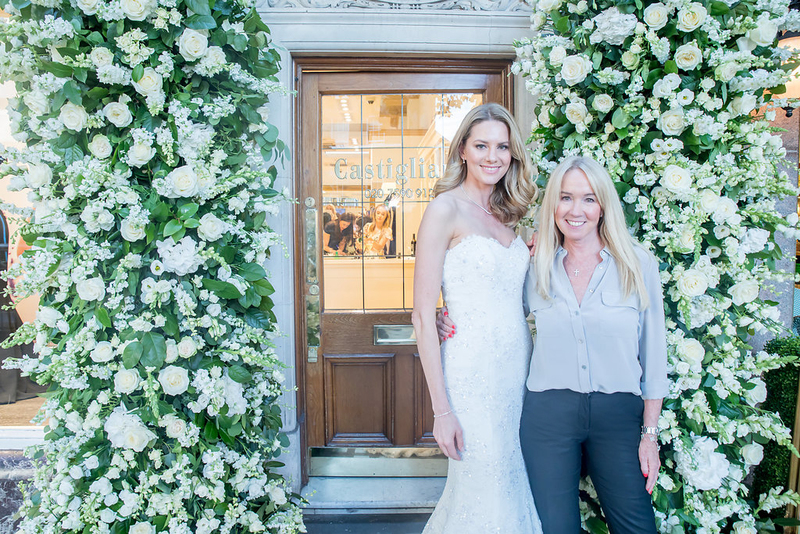 Caroline’s show-stopping bridal gowns will be modelled along with evening and party wear and you’ll have the chance to meet with Caroline who will spend time answering any questions you may have on how to choose the perfect dress. Don’t miss out on your opportunity to sample some exclusive wedding tips, ideas and inspiration with fabulous luxury brands! Learn all the important secrets you need to know to make your wedding the one you dreamed of. All guests will receive a goody bag worth over £150 with special gifts and exclusive offers from the partners they meet during the evening.